Most of the Christmas decorations I see in stores already look like high-priced garbage and that is what led me to this idea of making decorations out of trash. Why pay for it when you already have plenty of it? Here are some of the more interesting recycled Christmas projects I found. Punched Tin Christmas Ornament from can lids: click here. Newspaper Christmas Tree, click here. Bows made from magazine pages, click here. Milk Jug Snowman, click here. Snowmen made from Coffee Creamer Container, Click here. Love these ideas! I had to laugh when U read the opening – that everything already looks like high-priced garbage. It does, and these are so much better. I LOVE these! 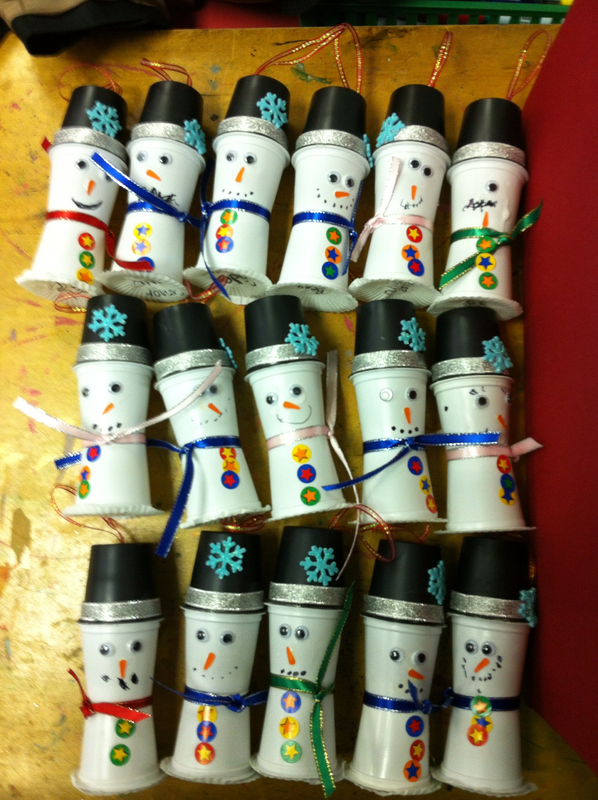 My preschool class is young,but I can modify a lot of these to make them toddler-friendly. Thanks for sharing!